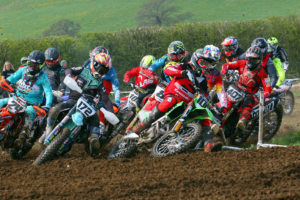 There is a new club down in depths of the South about to embark on their first season in Motocross in the Cornwall and Devon Motocross club who will be running a 7 round championships at some of the South West’s finest circuits, as well as their opening Stubblecross meeting in February. The club is being run by a committee of enthusiastic riders, and have affiliated to the BSMA so people can join the club by going to the BSMA website. There you pay for your license and club fee in one hit which varies for classes.